BOMBER//forever 21. CROP//Asos. 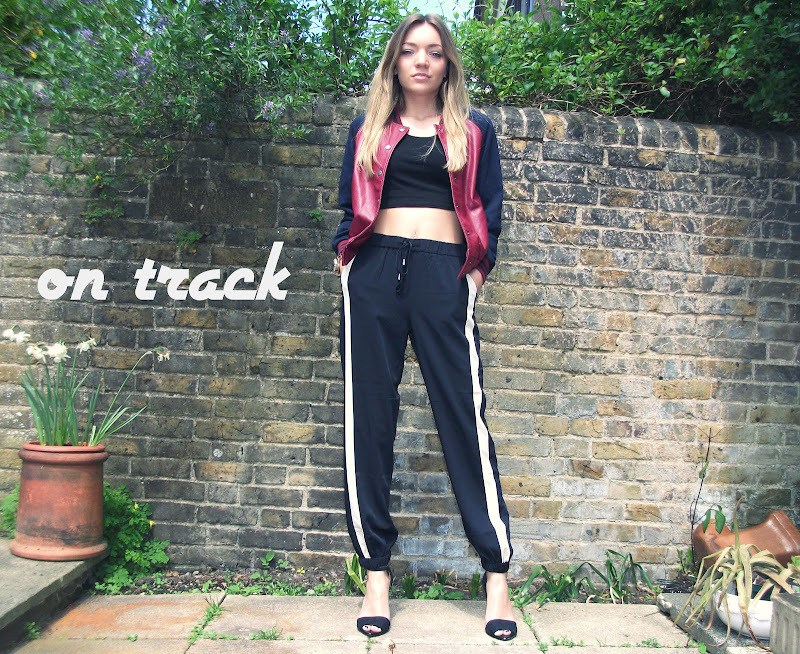 TRACK PANTS//Asos. HEELS//Zara. BEANIE//Ebay. I love how the title is track and you have heels on! !